The new film ‘Dredd’ is a much more faithful adaptation which succeeds far better then where Stallone’s version failed. Like many of you reading this, my knowledge of “Judge Dredd,” the classic science fiction character from across the pond (see this week’s Weekly Reel), is limited to brief trickles from free promotional comic books and the 1995 Sylvester Stallone train wreck of a movie. Previous adaptations have set the bar low, but the character is a sci-fi equivalent of “Dirty Harry,” which is something that the uninitiated can instantly understand. Karl Urban stars as Judge Dredd, who is assigned to evaluate Anderson, a rookie judge who possesses psychic powers, played by Olivia Thilby. During their first bust of the day, they incur the wrath of a powerful gang led by the criminal leader Ma-Ma, played by Lena Headey. This story is dark, gritty and incredibly violent. It comes across like a noir crime drama mixed with a war and survival film. While there aren’t as many twists and turns, the story does drawn you in with its focus on intricate, yet subtle development of both the characters and the world. 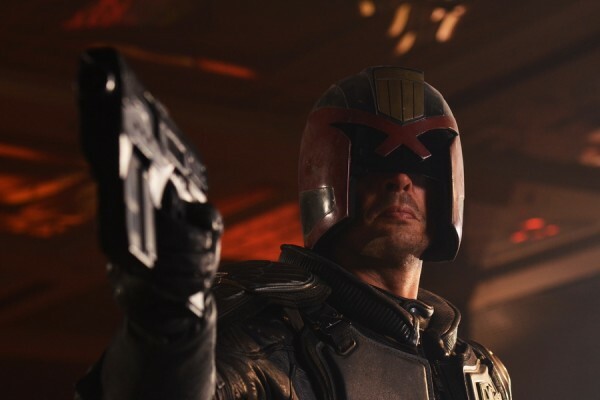 “Dredd” takes itself seriously, but doesn’t shy away from the bits of dark humor. There are moments in the film that were obviously inserted to play off lines from the 1995 movie, but are delivered in a subdued way that’s almost saying “This is how you do it, Stallone!” Lines are delivered realistically, but also come across as the kind of dialogue you would read in a comic. Speaking of similarities to comics, the same can also be said of the film’s visual style. It’s not like this is copying “Sin City,” but there are certain scenes that you can almost see as comic panels, and lots of imagery that really adds to the unique nature of the story. Granted, there are also moments that you can tell were specifically made for 3D, but the film does it’s best to make it part of the story. The acting in “Dredd” is also top notch. Urban gives us a Dredd that is more in line with how the character behaves in the comics: subdued, battle-hardened and focused on getting the job done. Thilby’s performance gives us a character that seems innocent, but is able to handle her own when push comes to shove. Headey gives a very chilling performance as Ma-Ma. She never goes over the top, but also keeps it from getting too subdued. Overall, I found this film to be entertaining. The story is dark, gritty and in line with the source material. The performances come across as natural and fully developed, and the visuals provide an experience that blends comic-like visuals with gritty realism without sway to one or the other.